On Friday, avoid making important or expensive purchases. Unpleasant surprises will be associated with similar actions on your part. This will be a good day to travel as long as you can avoid conflicts. On Friday, many will have a commitment to an important event in the life of a boy or a young man. The health of a woman you know will continue to have a vague development. LOVE: Today young men will tend to part with a girl or a woman, from who they are no longer interested or there are too many differences and contradictions in this connection. The day will bring news about old love or love adventure. If you were born under the sign of Aries, Leo or Sagittarius, you will have urgent cash matters on Friday. Attention will be required by your relative who will want to share important things about him/her. Today you will need to make an important decision of a financial nature or make a bigger expense. If you were born under the sign of Taurus, Virgo or Capricorn, today be extremely cautious about things related to money or documents. Such action on Friday will be complex or unpredictable. Today there will be a change in plans associated with a meeting or gathering. If you were born under the sign of Gemini, Libra or Aquarius, on Friday you will experience tensions in your family or love life. You’ll receive important news for you from another city or travel invitation. Today, many will enjoy unexpected money or a new professional commitment. 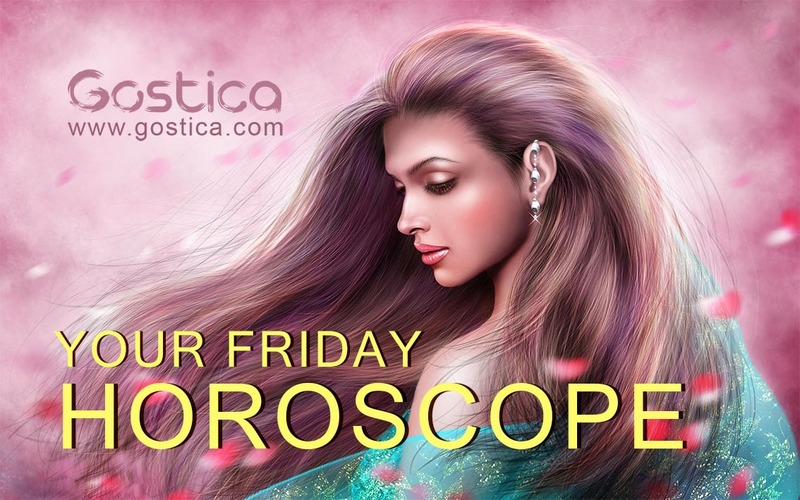 If you were born under the sign of Cancer, Scorpio or Pisces, you will have unexpected meetings or contacts on Friday that will be the occasion for conversations in your home. Many will enjoy news related to someone living in another home or in another location. Today you can take a trip where you will experience a complicated situation. If you still don’t have a clear idea on how to carry out your current activities, then you should give in to improvisation. For once, you will experience the thrill of not knowing what to do. You’ll also take the risks, but you’ll find that it’s not so bad to try your luck by doing your best. It can be done every now and then, especially because you let the case act freely and ride along the wave. On this day, you will have to postpone important decisions if you don’t have a great chance of dealing with issues of some depth perception. You must free your mind. So don’t rush. It is possible that each of us will experience these rather unstable moments. The only thing to do is to think positive always! Try not to be too perplexed as you will need to be more focused than usual, and you won’t be able to afford changing programs in the running. You have to implement your projects as they are. Maybe you won’t have a big hand from others but it doesn’t matter. What’s really important is to try to be more focused on yourself and on your own things instead of getting useless problems on possible obstacles that maybe won’t even be there. Try to make your day special. Take a break and have something to celebrate. What are you waiting for? Make yourself happy with a treat or a holiday. Don’t give up on yourself. Happiness depends not only on the goals you’ve achieved, or rather, it depends on the fact that among the objectives there is also happiness. If there is none, you should add it and strive to enjoy it before it’s too late and you no longer have time. If you want to go around with your head held high, then you’ll have to solve a problem even if it didn’t arise from you. Sometimes these issues happen and you have to be ready. Life is a constant challenge and only you can fix it, no one else can. You have the ability, the quality, and everything you need to fight and win. Be on the side of happiness. Not everything is lost when there are possibilities to make decisions that would change the course of your destiny. You should be more courageous to take on this new challenge, which involves a very high prize. You can’t always have the same opportunities. You will not be able to postpone your decisions, so you should carefully consider whether to risk or whether to be disappointed for the umpteenth time. It’s not very difficult actually!